Risk of Compassion Everyday we take risks. Everything about life has to do with taking a risk. Now some risks are bigger than others. Some we don’t want to take. Some we would be foolish to take. 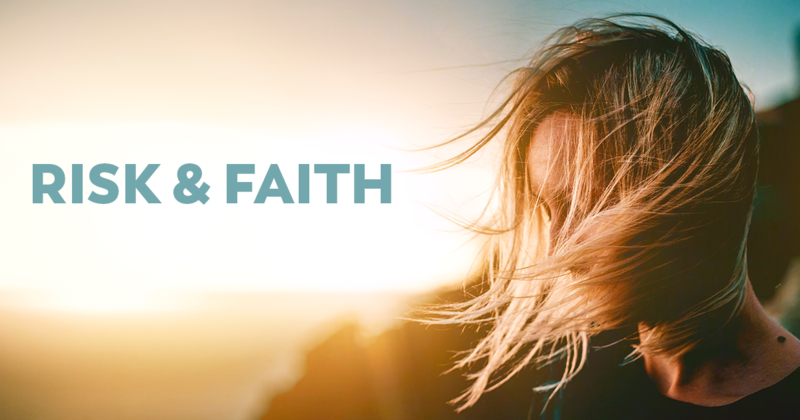 When God looks at the risks we take, He sees men and women of great faith. All of us can convert risk into great faith. In fact, that is how faith is developed. It is not by going to a bunch of conferences and seminars. It is by taking risks of compassion in the name of Christ. That risk is what the Bible calls faith. Hebrews says, “… without faith it is impossible to please Him, for he who comes to God must believe that He is and that He is a rewarder of those who seek Him” (Heb. 11:6). We can take risks in the name of God and it becomes faith, and God rewards it. For those who come to Him must believe that He is, and He is a rewarder of those who diligently seek Him. Every single one of us can actually be men and women of risk that God converts to faith. How? It is Love For God and People That Compels Me to Be Involved. “Moved with compassion, Jesus touched their eyes; and immediately they regained their sight and followed Him” (Matt. 20:34). We have seen risks of compassion like that before. We can see that in a cancer ward where children have lost their hair, their eyebrows and their eyelashes. To some people that may be a bit scary, but we will see three or four volunteers hugging these children, kissing them, giving them piggy back rides and playing games with them. If we interview these adults and ask them why they have compassion for these cancer victims, inevitably, about 50 percent will have had a child who has had cancer. They may have lost that child, and now God has placed in their hearts a huge compassion for those kids suffering from cancer and they are now willing to take a risk of being involved. Get involved and start to serve here in a ministry because of love, not because of accolades; not because of what you get from it; not because of how many people applaud. Love God and desire to be a part of what He is doing. When you do that because of compassion for God and people, then everything that would have been a sacrifice turns to joy. I Realize That Serving is God’s Design for Growth. Serving is God’s design for growth. We learn half of what we are going to learn at times like this, from sermons, messages, seminars and conferences. Half of what we learn is through these ways. To learn the other half, we will need to pass through the servants’ entrance. Serving is part of God’s design for growth. Click To Tweet If we just sit in the classrooms, we will become really good Pharisees. In every single one of us is a little Pharisee just waiting to grow up. If we think Christianity is just going from one conference to another seminar or classroom; we will become excellent Pharisees. God did not say go and make Pharisees of the world, but to make disciples of all nations. The only way we will become disciples is when we have put on aprons and serve others. Fifty percent of what we learn comes through the servants’ quarters. That is how God designed it. That is His mandate. That is His invitation. That is where He does the best work of all. I Realize That My Location is Not Important. My Involvement Is! There is no higher calling than to be called to take a risk of compassion. Click To Tweet0 Look at Joseph and see how he got involved wherever God put him. “But the Lord was with Joseph and extended kindness to him, and gave him favor in the sight of the chief jailer… because the Lord was with him; and whatever he did, the Lord made to prosper” (Gen. 39:21, 23). My prayer is that when God looks down on our church, He’ll see people with “yes” faces. It is all part of our DNA, our growth. We are family and the reason we serve is because we are part of the family. It is not because it is a thing to do; it is a religious thing; it is another program. It is because we are family, and if the family is to be all it can be, it needs everyone involved. I tell you the power and the potential that lies within here is absolutely amazing. God has given us a dream and a passion. Either get involved or start something new. Stand up to the plate and be an active part of our church family, and watch! As you make an investment because of love, God will bring forth a harvest that will delight heaven. We get to be a part of that.